These BBQ chicken sliders are so easy to make and feed a crowd easily. My family gobbled them up in no time at all! Keaton and I were obviously on the same wavelength, seeing as how he published a Chicken BBQ Pizza on Monday. It's like we're related or something. Weird. 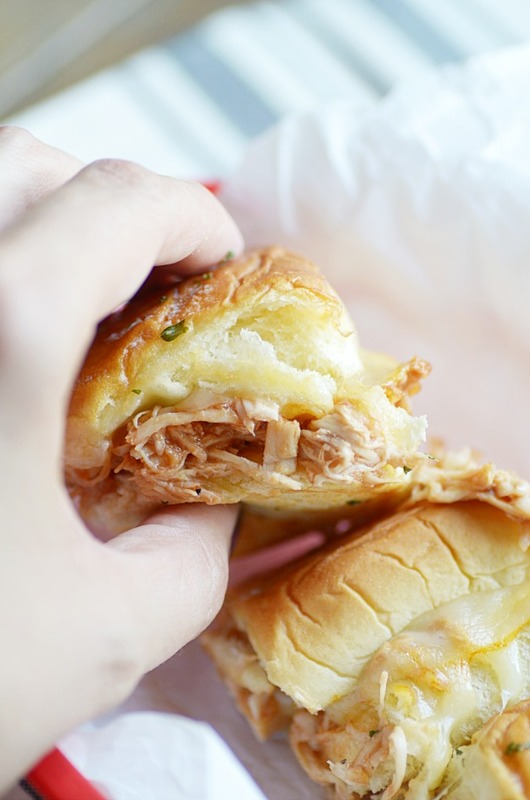 These BBQ Chicken Sliders are INSANELY easy and INSANELY delicious. As in-- we were actually fighting over who got to eat the last one. And what's not to love?? 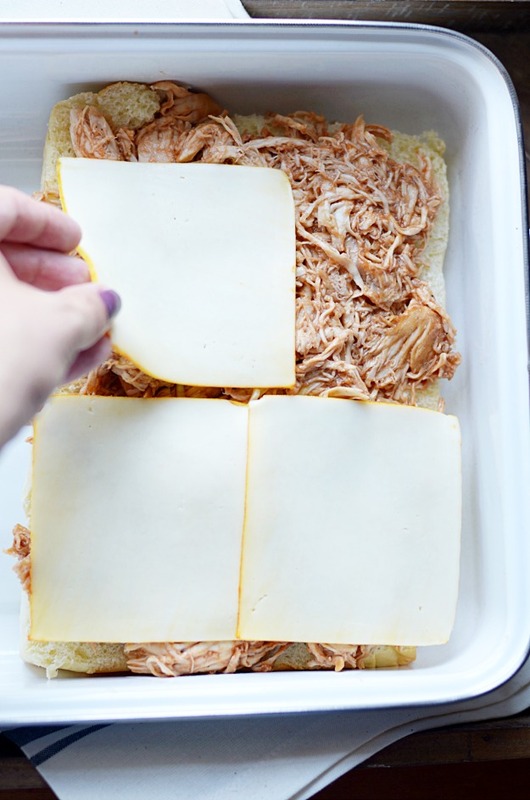 Sweet and soft King's Hawaiian Rolls sandwich slow cooked to perfect BBQ chicken and ooey, gooey melted Muenster cheese. The slow cooker does all the time consuming work. All you have to do is assemble and bake until the cheese melts! Voila! Couldn't be easier. I did I mention they're INSANELY good?? Because they are. I'm sharing this recipe in partnership with eBay. To view the recipe CLICK HERE.